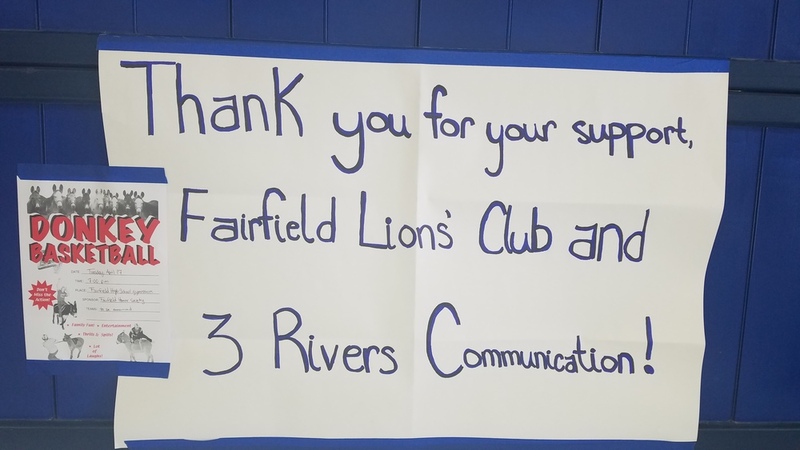 Thanks to the Fairfield Lions Club and 3 Rivers Communications, the Fairfield National Honor Society was able to bring Donkey Basketball to Fairfield! The event raised just over $800.00 which will be contributed to the Community Hall to update the current sound system! Thanks to all who came out to support this community fundraising effort! We are sure everyone had a good time even though the riders may have been a bit sore, but we are sure the donkeys and their riders provided some laughter for all who were present!